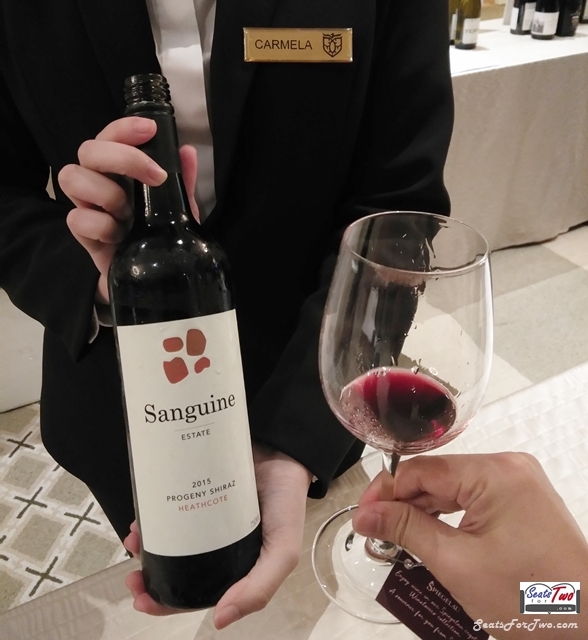 Wine Warehouse Corporation, the largest beverage importation and distribution company in the country recently held the “Toast to Trade” wine-tasting night which we attended at the Discovery Primea. 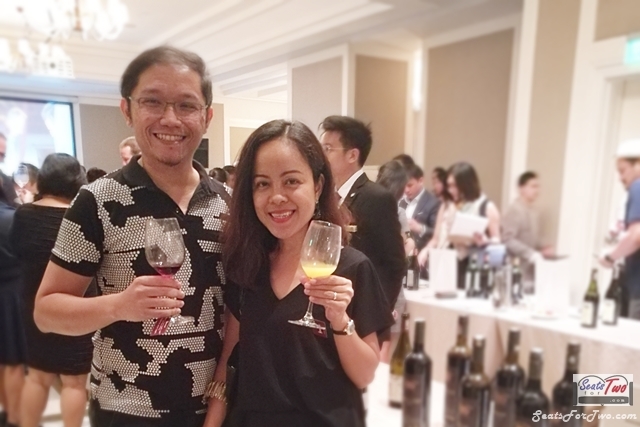 Guests from different hotels & restaurants and wine connoisseurs gathered together for a night to taste and experience more than 200 wines, industry leading craft spirits, as well as internationally recognized coffee and water products from different countires. Wines coming from Australia, France, Italy, and other European countries were featured but the wines from Australia took our fancy that night. Here is a short video clip summarizing that special night earlier this month. Please watch this short Facebook video. Australia has around 2000 wine producers of which mostly are small winery operations. For the ‘Toast to Trade’ night, amon those we tried is the 2015 Progeny Shiraz. It has a delicate flavor and best for grilled meat. 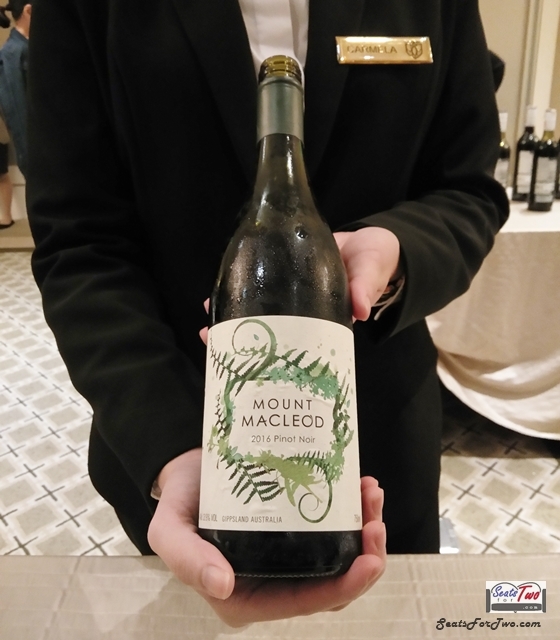 We also had Mount Macleod 2016 Pinot Noir whic was one of our favorites. For the rest of other Australian wines we had that night, kindly see the video clip above and some IG stories we saved at the bio link of our IG @SeatsForTwo Instagram. 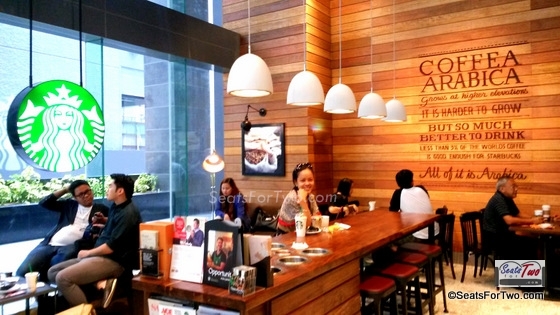 Tea and coffee brands were also at the venue to serve as break from the wine tasting. 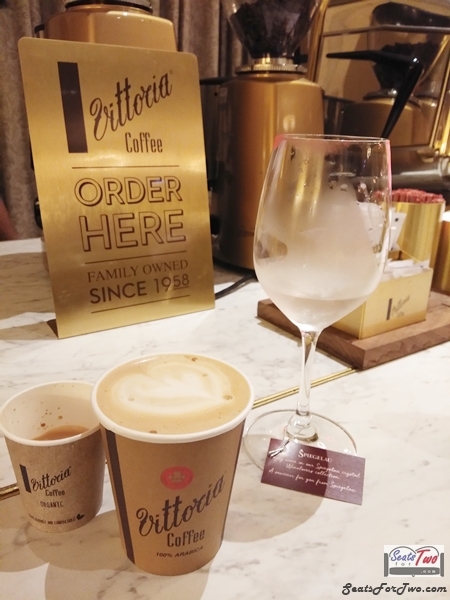 The brand that stood out was that from Vittoria Coffee. We would personally like to thank the Australian Embassy for inviting us to the ‘Toast to Trade‘ organized by Wine Warehouse. Wow naman po ang daming wine.. Lucky niyo po madam, isa po kayo sa mga umattend.. Wine tasting!!! Yay!! natutuwa po ako sa inyo, couple goals.. Saya!!! Wow, i haven’t experience wine tasting, ang saya saya nmn.